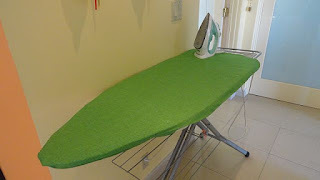 Make Your Own Ironing Board Cover? Really? Okay, so I have made lingerie, bathing suits, pot holders, place mats and napkins, throw pillows, duvet covers and grocery totes. These are all utilitarian items, but also decorative, pretty and stylish. And I made these items because they are fun, I can change my look or the look of my house by changing the linens. I can make lingerie and bathing suits cheaper than I can buy them in Macy’s or Nordstrom. And like most of you, I am not sewing to save money, I am sewing to fill a creative need, and to have lovely things. 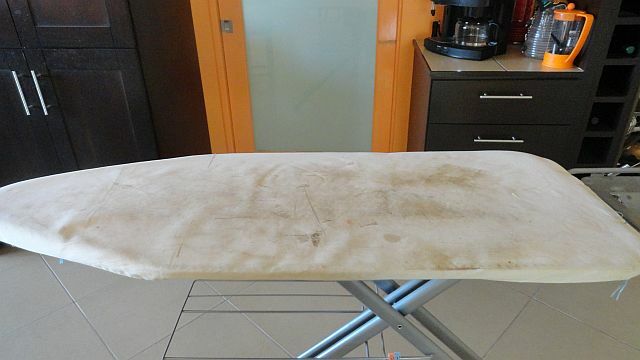 But an ironing board cover? You may ask why, when they are cheap and available in the grocery store. BUT! My ironing board is extra wide, and down here in Baja California Sur the only ironing board covers I have found fit the standard more narrow board. There are times when I see a nice one with bright colors and is well-padded. I buy it. Then when I get home I remember that it is too narrow for my board. 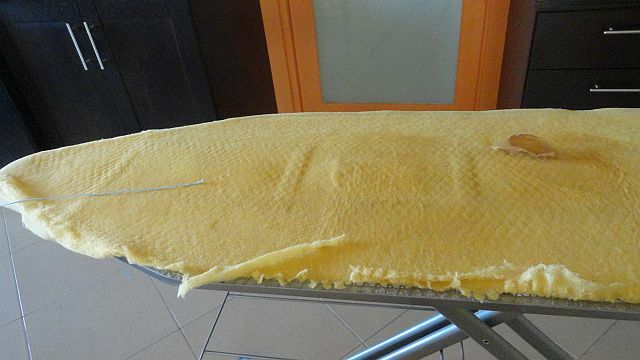 I am tough on ironing boards, and irons. Now I am writing an ebook chock full of my purse designs and I need it to be ready very quick;y for the Christmas sewing season. I clipped the curve at the tip so it would lay flat. 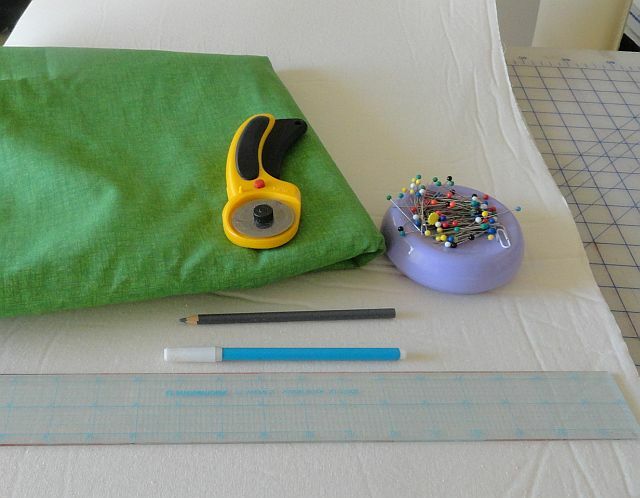 and decided on this lovely green fabric that will look good with my samples. 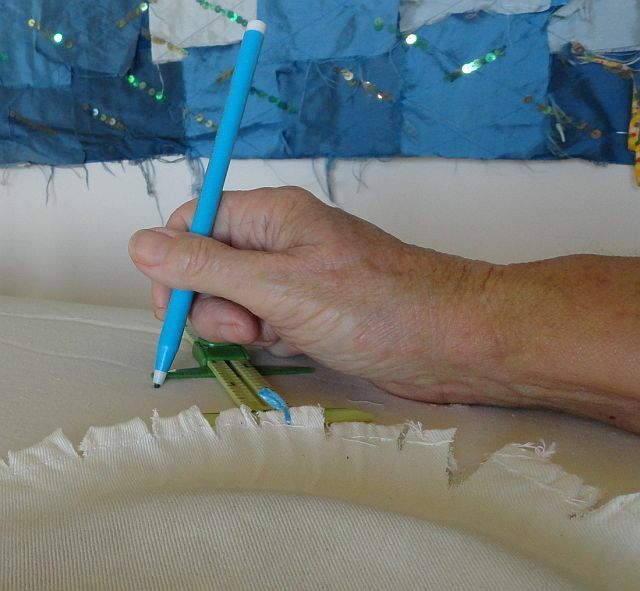 For padding I used this wonderful fabric available here in La Paz. It is called manta embondada. 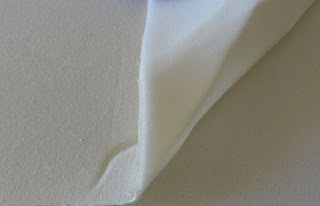 Bonded muslin. If you look carefully you can see the foam on the wrong side. I used two layers of this to pad the board. 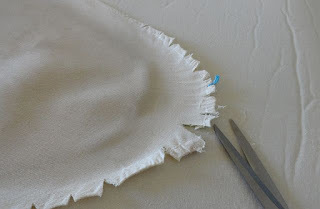 I need to put the elastic in the casing and because my beloved does the household ironing ( he is highly evolved) and I use it for sewing, it must meet both our needs. He like the cover really tight, so with the ties I am making he can tighten it up. 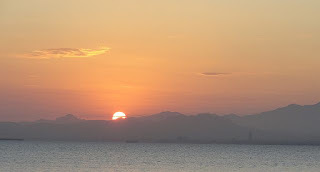 Sunrise on the beach in front of my house on August 17, 2011 my daughter, Melissa’s birthday.